Delicious has been my way of tackling Bookmarks and though I love the idea the tools available to execute are sometimes a pain. Since I needed frequent access to my bookmarks on my browser, the Delicious extension was a natural choice. Boy! that was such a big mistake!! the extension takes ages to load (considering my thousands of bookmarks) and infact slows down the whole browser considerably. Again if I’m on another browser say safari or Opera – then its more convoluted. 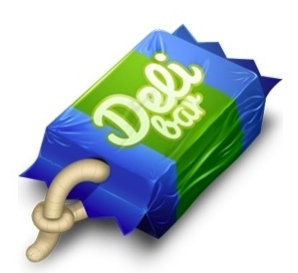 Finally I came across Delibar – A delicious client for the Mac. Delibar is so good that I wonder why the Delicious guys just buy this company and make it their default bookmark management tool. You can try my complete review here, but trust me this is definitely worth the buy if you’re a serious Delicious user.